click here http://cinziamazzamakeup.com/?x=comprare-levitra This web site is dedicated to the late Dr. George Young also know as Young (Yang) Yu-fun, a Chinese professor in Chinese Calligraphy and Chinese Culture. He was very active in local Chinese community services and the old Kuomintang of the Chinese Republic. In the early 1970s he was the so-called Mayor of Chinatown (actually the president of the Hoy Sun Ning Yung Benevolent Association) in Manhattan, New York City. 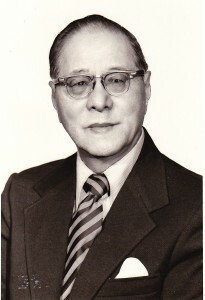 He had many connections in Taiwan and Hong Kong, as well as many American government officials. Prof. Young was the founder of the Association of Chinese Calligraphy in America which promoted the study of Chinese Calligraphy among young Chinese children and American people interested in the art. enter site Chinese characters have always interested me being that this unique language come to presents day the only language with no alphabet and derived from pictures! Although some people can appreciate the art without even understanding the language, the flow of Chinese character conveys the thought process behind the make up of each character or pictogram. I have included some of the books I read before meeting Prof. Young. I had a drive or desire to learn more about Chinese characters which led me to the study of Chinese Calligraphy. It was my good fortunate to become his devoted student until his untimely death.